You probably are interested in a powerful tool that could satisfy all your cutting and polishing needs but have no idea on which one to go for. In addition, the information on the Internet is probably too overwhelming to make a decision on whether to go for a die grinder or dremel. Well, this is what this article is about. Before we dive in to see the difference between a die grinder and dremel, it is vital to understand what they are and how similar they are. First and foremost, die grinders and dremel tools fall in the category of rotary tools. This means that they are powerful handheld tools with a rotary tip that allows a range of attachments for different tasks. Another similarity is that they both serve the same purpose of cutting, grinding, sanding, and polishing and among others. They do this through rotational force of the associated bit or disc that is attached to the tool. Without further ado, let us look at the differences between die grinders and dremels. Die grinders are rotary tools that are handheld and used for grinding, sanding, honing, polishing or machining. Most rotary tools are similar but when it comes to a die grinder, it is mostly associated with being pneumatically driven. Also, it is mainly used for heavy-duty tasks.They are different types of die grinders. They include electric die grinders, pneumatic die grinders, and air die grinders. When using die grinders, it is important to adhere to personal protective equipment such as safety goggles, earplugs, paper or gas masks and among others. #1.Electric die grinders are more powerful compared to Dremels. This is because they top the charts when it comes to horsepower, capacity, amps, and the main power specifications. They are built with 11 amps or higher. #2.They are stronger than Dremels as they have the power to cut through hard materials such as thick metal. #3.If you are looking for resilience as a craftsman or construction worker, this is just for you. They are used for bigger projects and more demanding tasks. #4.They are relatively bigger than Dremels because they give out a lot of power. It is commonly known that the more power a tool has, the heavier it is going to be. #5.Most die grinders are known to be heat resistant even with frequent use. This is also attributed to how powerful it is. #6.It comes with a speed adjustment feature to regulate the amount of speed when in use. #1.Since they are powerful, they are heavy. This means that it is not easy to move them from one place to another. #2.They spin slower than Dremels because it is a bigger tool, which means it requires big bits and attachments. Normally, the smaller the bits and attachments, the less distance the tool has to cover. This contributes to the slow speed. #3.They need more power to run since they are more powerful. It normally applies to electric die grinders. This can be an expensive affair for the user. For the pneumatic die grinders, you will need an air compressor which is an added expense. The word ‘Dremel’ is actually the name of an American brand who manufacture power tools. Dremel’s rotary tools are similar to the pneumatic die grinders used in the metalworking industry by tool or mold makers. This is a company that has been in the game for a while, which means that they have perfected the art of manufacturing these tools over the years. Since they make the Dremel rotary tool, the name was adopted. #1.Dremel rotary tools go an average of about 35,000 revolutions per minute (RPM) in terms of RPM of the attachments and bits. This means that they spin faster than die grinders given the smaller bits and discs that cover less distance in diameter. 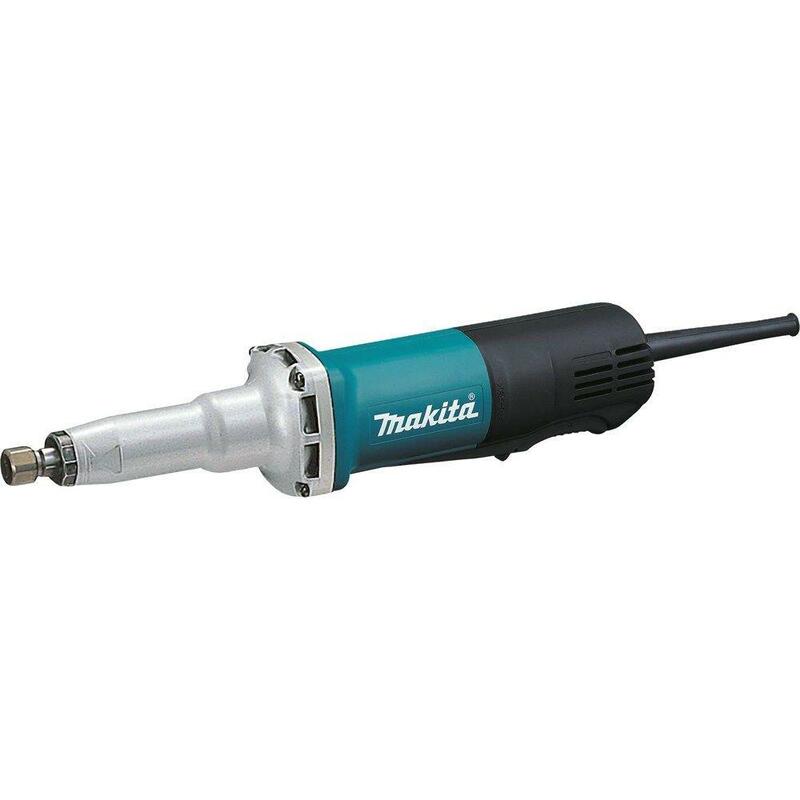 #2.It is made by a reputable brand whose focus is purely on Dremel rotary tools and its attachments, which shows it has been in the game for long and has mastered the art of manufacturing rotary tools. #3.They can be either cordless or electrically powered. As much as they are electrically powered, the most powerful Dremel rotary tools do not reach more than 1.8 Amps. Therefore, it uses less power to run. #4.They are quite handy and easy to manage when in use and therefore used for small and light tasks. #1.They are less powerful than die grinders. This shows that they cannot be used for heavy duty tasks that require complex techniques to be used in cutting hard materials. #2.When used for a long time, Dremel rotary tools can result in overheating. You would have to let the tool cool down after every use in order to operate it again. All in all, if you use it as instructed by the manual, it will be more heat resistant. Before purchasing a die grinder or Dremel rotary tool, it is of utmost importance to take a few aspects into consideration. Price is not the only factor to think about. Once you know what kind of job or purpose you need for the tool, then you can proceed to look into the following aspects before purchasing. The size of the die grinder or Dremel rotary tool is dependent on the job you would like to do. If you are polishing a surface or working on a small project, you do not need a large size. However, if you are working in an industry or a construction site, using a ¼ inch die will be quite hectic. The powerful the motor is, the higher the performance of the tool. This is one of the most important aspects to consider because it controls the speed of the grinding wheel. A motor with a horsepower of 0.25 is good enough for your needs. Whether you decide to purchase a right-angled or straight head die grinder or Dremel, it is all a matter of preference. Nonetheless, the right-angled ones are more popular because of their comfortability and ability to reach tight spots. Also, such tools can easily be mounted with a grinding wheel. When grinding on surfaces such as wood boards or plastic tubing, it is best to use a lower speed. Most people use higher speeds, but this only applies for harder surfaces like metal. The three major power sources for die grinders are corded-electric, cordless and pneumatic while for Dremels are corded-electric and cordless. To make an informed decision on which one to buy depends on certain variables. The thing here is to carefully analyze what works for you.If you plan to purchase an air compressor or you already have one in your possession, the best thing to do is to have a pneumatic die grinder. This will go a long way. The thing with a cordless model is that the batteries do not last long per charge. This means that you always need to keep halting your job in order to charge the tool, then continue. This can be quite frustrating. On the other hand, with corded-electric models, you have to take into consideration comfortability and maneuverability. This can be hard to come by and if you get one, it may not be budget friendly. So there you have it. The main differences between a die grinder and a dremel rotary tool. The most important thing to take away from this is that purchasing these tools is a matter of preference and the type of task at hand. If it is a small task, it is best to go for a Dremel rotary tool. On the other hand, if you require more power to cut through your thick metal surface, an electric die grinder will serve you better. Now that you have a clearer idea of the two, you can make an informed decision on which one to purchase.